It is too easy to mix personal and business expenses. For corporations, separating personal and business expenses is important to retaining your corporate status. For all other businesses, mixing personal and business expenses makes it hard to determine profitability and make good business decisions. There is a strong temptation to use credit cards without a solid plan. Usually when people obtain a business loan, there is a definite plan for the funds. Typically, credit card use is for unexpected (or impulsive) purchases. Before switching credit cards to get a lower interest rate, consider contacting your existing card company and requesting a lower rate. Visit www.creditcardguide.com or www.bankrate.com to get actual interest rate information to use in your request. If you have paid late or exceed your credit limits, do not expect good results. If you are a good customer and you are not initially successful, ask to speak to a supervisor and/or call again in 10 minutes and ask again. Persistence pays. 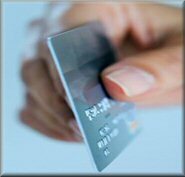 http://www.creditcardguide.com/business-credit-cards.html allows you to easily compare online credit card offers. You should also contact your local bank to learn about their credit card offers. When you get a business credit card, be sure to ask about required personal guarantees. A personal guarantee means that if there are not enough business funds to pay the debt, the guarantor will use his/her personal assets to pay it. If your business is a corporations or LLC, this means that if your business closes, you will still be liable for the credit card debt. It is possible, but not likely, that you can get a business credit card without a personal guarantee. Your business would have to have a good credit rating. Secured credit cards are for people with no credit history. You can build credit by depositing money equal to your requested card limit. Then, if you default, the bank has a way to get its money back. Generally secured credit cards are only used until you can establish credit and obtain a regular credit card. Secured credit cards with lower fees are often available through credit unions. Whatever company you use, it is important to compare fees and service. Watch out for companies that require additional "insurance" or high fees. The Chamber in Jackson County continues its main role as an active leader and facilitator in bringing together the resources of Jackson County agencies and organizations to promote cooperation, credibility, and communication while providing the means of quality growth in the community. The main focus will always be towards the small businesses of Jackson County.